“I had to win today, whatever,” declared Bradley Wiggins after he triumphed in the Tour of Britain’s 16-kilometre time trial around Knowsley this afternoon and moved into the race lead. 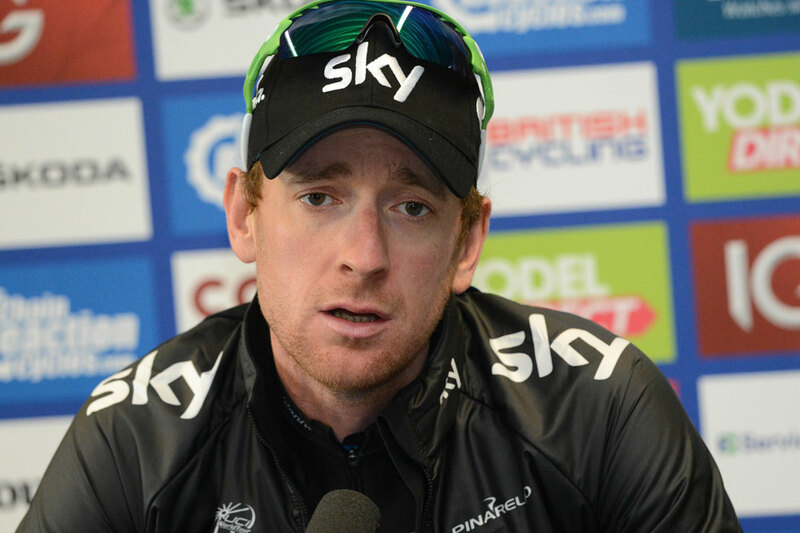 Wiggins clocked a time of 19-54 for his ride on the fast Merseyside course that he has ridden “god knows how many times”. He now holds a 33-second advantage over his team-mate Ian Stannard – who finished second on the stage – going into the second half of the race. “The conditions weren’t ideal for me, but I thought I’d rather end up in hospital today than be beaten,” said Wiggins. The inclement weather before the stage meant that many riders opted against previewing the course, yet despite knowing it better than anyone, Wiggins rode the full course once and watched Bernie Eisel’s ride from the Sky team car. “When I was out of the Tour and training in June and July, I was here. This was my motivation, these were the things that kept me going: the World Championships, the Tour of Britain and winning this time trial on home soil,” said the Sky rider. After Fabian Cancellara laid down a marker by winning the Vuelta stage against the clock earlier this month, this was Wiggins’ reply ahead of next Wednesday’s World Time Trial Championships in Florence, Italy. However, the reigning Olympic champion in the discipline said the battle for the rainbow jersey between him, Cancellara and defending champion Tony Martin is too close to call. “I think time trialling is so difficult to say there’s a favourite. Obviously there are probably three guys everyone knows are going to come away with the medals on a good day, we could be in any order. I think it just depends on how our preparation goes. “Everything I’ve done since June has been about preparing for an hour-long time trial. This was 20 odd minutes. Everything’s on track for the worlds, baring any more crashes or anymore severe weather like yesterday and getting sick, but as we get further south that’s meant to get better. Defending British time trial champion Alex Dowsett (Movistar) was tipped to challenge Wiggins for the victory but having been struck by illness at the end of August, he battled to place fifth, 56 seconds down. Dowsett said: “I’m disappointed. It’s not really surprising – I don’t like making excuses, but I was sick before this race, it manifested a bit, and had about 12 days off the bike. But I don’t think that cost me a minute. “The ride wasn’t too bad, it was better than I thought in terms of power output considering the time off.